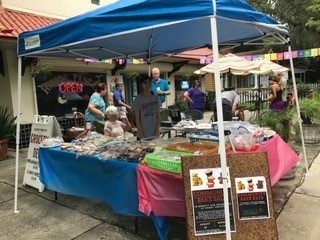 Thanks to everyone who came out to support the Community Bake Sale. 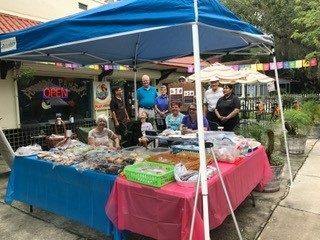 Bakers from all over – friends, neighbors, staff, church and school familes – sent in amazing treats to sell this past Saturday out in front of Handy Pantry. 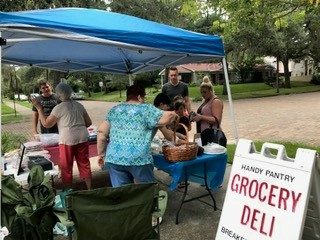 Volunteers set up early Saturday morning with tables full of homemade baked goods in an effort to raise funds to support our neighbors at Handy Pantry. We even had a HighSchool student volunteer to help out and she was able to earn some community service hours too! 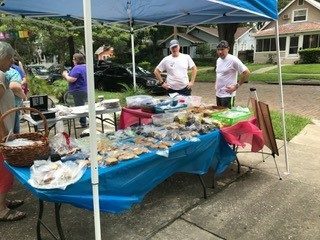 Throughout the sale, there was a steady stream of neighbors dropping by to purchase some baked goods (and homemade doggie treats too). Everyone had great fun meeting new neighbors. Many stayed for lunch at Handy Pantry and visited a while longer. On Sunday, sales continued before and after worship services at Trinity Downtown! The resopnse was fantastic! 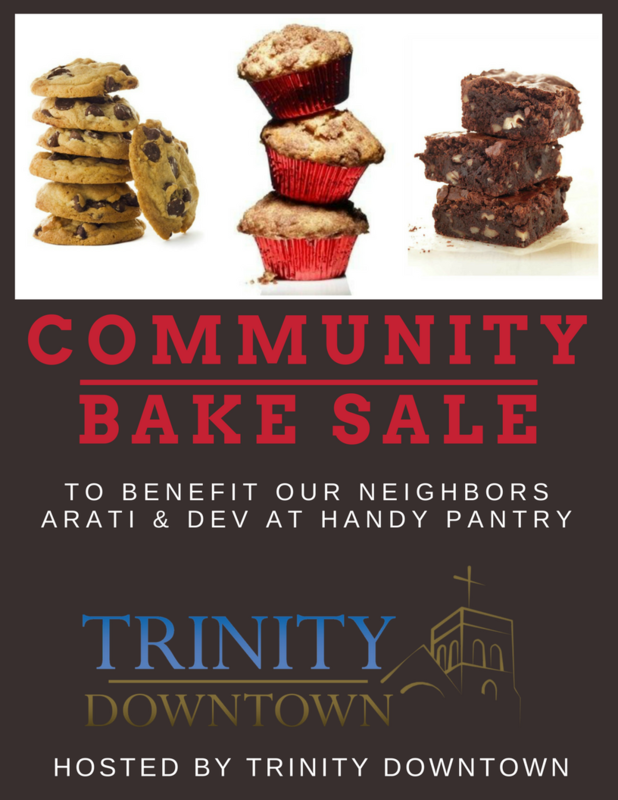 On Monday, volunteers from Trinity were able to deliver the proceeds from the sale to Arti and Dev – nearly $700. It’s a small token, but we hope it helps. 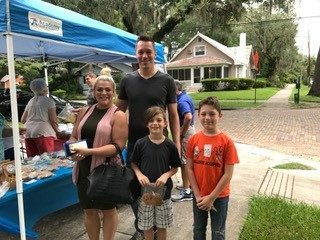 We love being a part of this community and connecting with neighbors! Well done good and faithful servants.